An inspirational and easy to use one to one mentoring guide from ‘I Can and I Am’ for use by a teacher with a pupil. 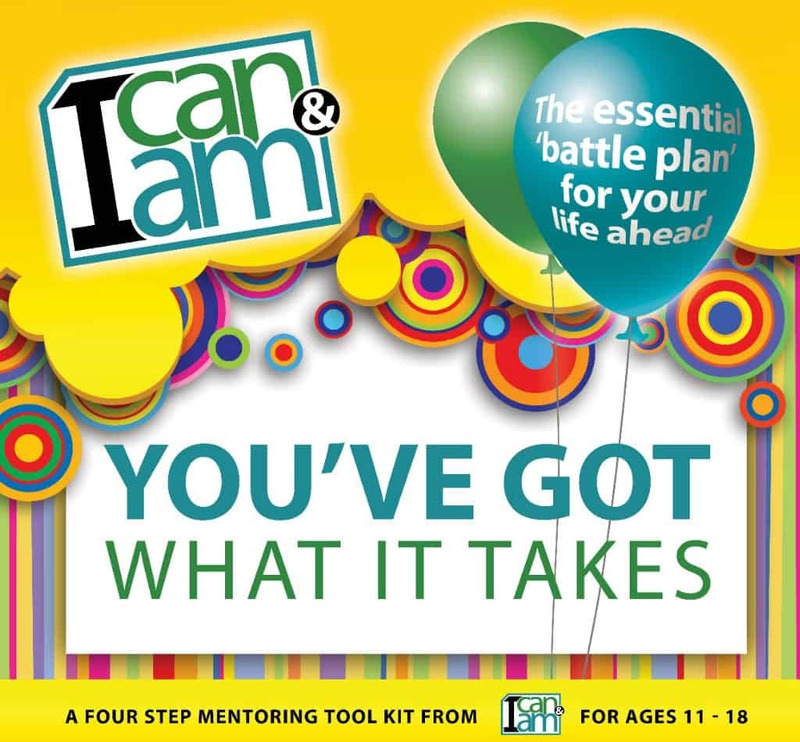 The messages of ‘I Can and I Am’ are now travelling further and wider via the one to one mentoring programme which is being introduced within secondary schools. This simple to use course consists of four sessions designed to be carried out by any teacher, with or without mentoring experience, with a pupil aged 11 years and older. This resource is invaluable for any pupil experiencing low confidence or self esteem. The 4 sessions cover a variety of topics which aim to uncover a child’s strengths and qualities using a warm, safe and accessible approach with a member of staff. The appealing, colourful mentoring guide hand holds the entire process with sections designed to be read aloud by the teacher (or mentor) and work sheets for the pupil to note down thoughts and comments. There is no requirement for the teacher to have had mentoring experience before. Each session is expected to last for a maximum of 40 minutes. James Shone and a pupil from the Paragon School in Bath where he conducts mentoring sessions with pupils from year 6. What am I good at – maybe without even recognising it? What are my natural skills and abilities? What have I achieved in my life? Are there things you’ve done that you didn’t think you could do, or have you got up again after failing? by reflecting on your achievements, strengths and skills. What have been some of the tougher points in your life so far? By discussing these we can begin to learn from them. What are dreams and goals? do I need to enable me to start realising them? – belief, resources, people etc – to hold them back. Where did you hear about ICAIA?